2-1/2 Inch Drop Forged C-Clamp with 1-3/8 Inch Throat Depth The BESSEY CM series light duty, drop forged C-Clamps are well priced and durable. These clamps are great for light duty welding, fabrication and woodworking. They are appropriate for many small jobs around the home workshop as they are light and strong. 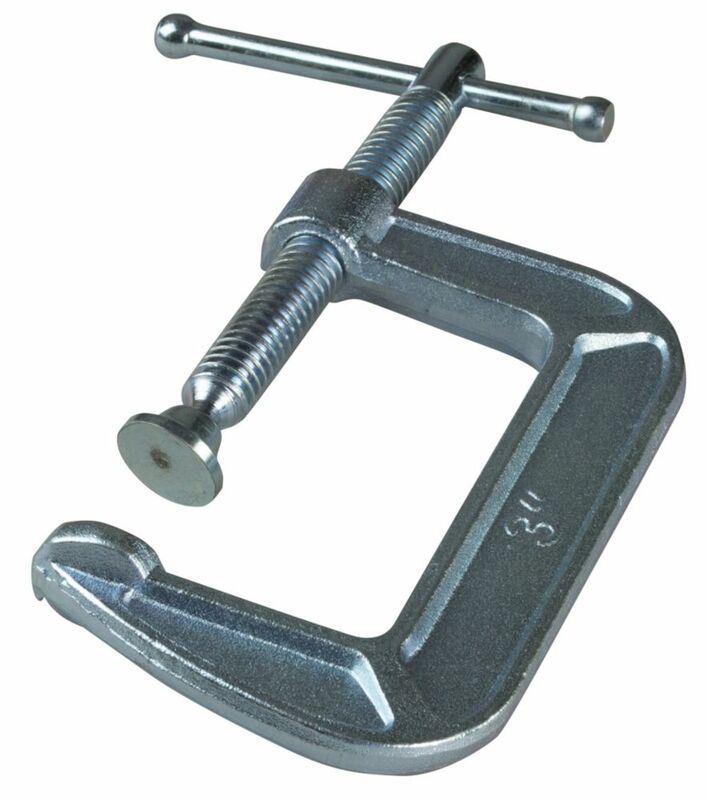 2-1/2 Inch Drop Forged C-Clamp with 1-3/8 Inch Throat Depth is rated 4.5 out of 5 by 2. Rated 5 out of 5 by HomeDepotCustomer from Really nice clamps for the money.... Really nice clamps for the money. Rated 4 out of 5 by RocketmanBill from This C Clamp, from Home Depot, is a great value. The same product was priced higher at all of the... This C Clamp, from Home Depot, is a great value. The same product was priced higher at all of the venders I researched, but what really made it for me was the free shipping to my local Store for pick-up. C Clamps were at the store well within the time frame quoted. I would have preferred a "Pony" brand, to match the other C Clamps that I have, but this will do the job.